Это полумертвый перепил на базе Scania L 36 конца 60-ых. Фары заменены на популярные в арабских странах сдвоенные. Looks like an early Scania L56 modified with shortened fenders and wheels from a late LS76 or 110, local roofrail and bumper south Asia style and US or Japanese headlights 80's style. A нет ли у кого данных в каких странах 3 мира Scania вела сборку? 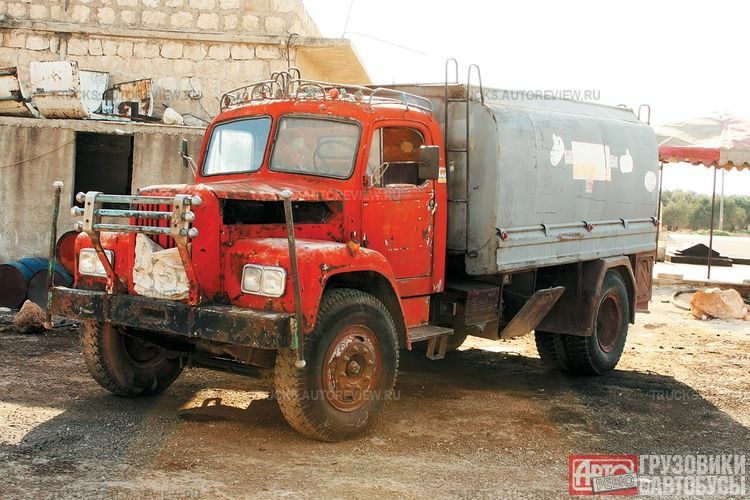 It could be one of the old fuel trucks sold out by Swedish air force in the early 90's and shipped to many countries. Puede ser un Scammell... en Rusia. Aqui en Colombia hay uno. It can be a Scammell ... in Russia. Here in Colombia there is one.